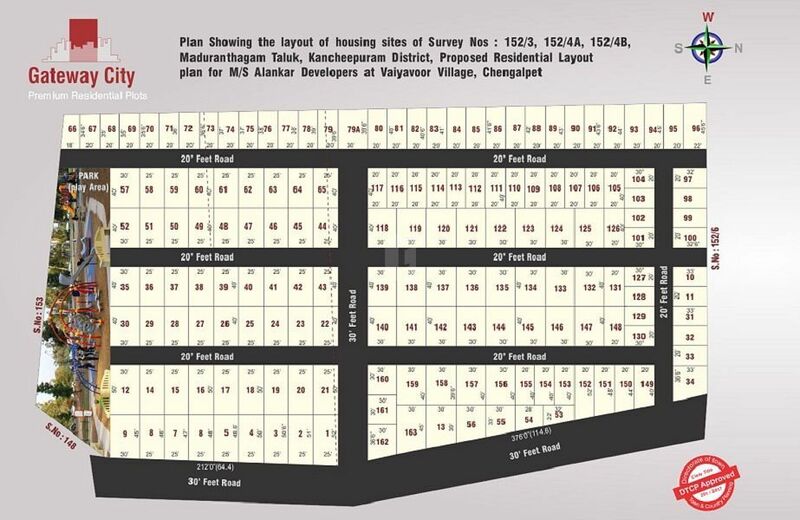 How Far is Alankar Gateway City? Alankar Gateway city is located in well developed area. Site is surrounded by shopping mall, petrol bunk, banks and ATM. Easy accessibility to bus stops and railway station. Alankar Gateway city DTCP Approved Plots near Selaiyur gives you the chance to own your dream plot, almost inside a resort type atmosphere with all the amenities you could look for. Alankar city is located in well developed area. Easy accessibility to bus and railway station. Site is surrounded by many well developed industries like bay forge, pepsi co plant, gamesa wind turbins pvt ltd, shriram auto mall india limited. Site is surrounded by lot of school, College like andal alankar college,Karpaga vinayaga institute of medical science. Many historical temples located near our site like thirumal vaiyavoor temple, Pachai amman temple. We believe in keeping good things simple, which is why you will find that our ‘no-frills’ homes are best suitedfor those who understand the value of hard earned money. We focus on giving you more value for less cost.The ethos at Alankar is to build homes and offices that are based on three time-tested tenets- location, location and location. This is why you will find our apartments and commercial spaces at the most prominent locations in Chennai. Our homes are spacious, Vastu compliant and intelligently designed and we go to great lengths to ensure precision in all that we do. You will enjoy getting accustomed to all the comfort, convenience and peaceful living that in fact it’s possible you may even start looking for excuses never to leave home! Our endeavour at Alankar has been to create edifices that utilise spaces constructively and efficiently, thereby making a favourable difference in your day to day living. They are built to last for generations. With a clear vision of creating a simplified and sustainable existence for all, Alankar aims to change the skyline of Chennai, one day at a time.